Want to streamline your multi-channel marketing strategies this year and improve the overall effectiveness of your initiatives? Learn how by attending one of the PADI Business Academy Lite Seminars. Hear from Thomas Knedlik, PADI Territory Director and Sheridan Hatcher, PADI Marketing Executive as they take you through strong digital marketing strategies as well as business, sales, customer service and training opportunities. Book your ticket 6 weeks prior to the Academy and receive AUD$20 off the cost of tuition. Plus, with every third paid attendee, you will receive a fourth free. So get in early and register your spot today. Supercharge your dive operation in 2017 and beyond! The PADI Business Academy Lite powers up again in the Asia Pacific region for 2017. Attendees from previous PADI Business Academy programs in Asia Pacific have achieved significant certification growth in the following months after completing the program. The PADI Business Academy Lite is a combination of presentations and hands-on workshops. You’ll explore digital marketing strategies for your website/social media channels as well as ideas and strategies for your business relating to sales and customer service to assist in supercharging your dive operation in 2017 and beyond. To ensure a custom-tailored learning environment, the number of attendees are limited. So don’t delay – contact your PADI Regional Manager to transform your business for success. If you have not yet attended a PADI Business Academy Lite, we strongly encourage you to not miss out and sign up today. The following PADI Business Academy Lite programs are scheduled across Asia Pacific for 2017. As a result of feedback from PADI Members we are excited to announce the addition of two Business Academies to the 2015 programme. The PADI Business Academy will now power up to revolutionise the dive industry in Brisbane, Australia and Auckland, New Zealand. If you have not yet attended a PADI Business Academy, we strongly encourage you to not miss out and sign up today. In addition, all Business Academy attendees are entitled to a follow-up marketing consultation, ensuring that attendees get the most out of the two day workshops, and are confident to take home these new tools and implement them as part of their business strategy. As a result, we have seen significant certification growth from PADI Dive Shops who have attended previous PADI Business Academies. If you have any questions about attending please contact your PADI Regional Manager. Book today via the Registration Form, or email kate.humphreys@padi.com.au or call +61 2 9454 2924. With the 2015 Worldwide PADI Business Academy programme already underway, don’t miss out on your chance to register for one of these game-changing two-day seminars. Alexandra Dimitriou attended the recent Business Academy in Cyprus, and has shared some positive feedback from her experience. As a relatively new dive center owner I have had a steep learning curve making the transition from instructor to owner. Today’s marketplace is hugely different to that which I learned in my Business A-level in the UK – oh so many moons ago – the PBA was such an eye opener to ways to move Scuba Monkey onwards and upwards. #1: Marketing isn’t a bad thing, you just have to know your audience and be able to take a personal approach. By knowing who your audience is you can better serve them, and this is a service like all others. You can make it an enjoyable one – both for yourself and for your prospective guests. The PBA taught us how to get the knowledge of things like website keywords, using online tools that have been at my fingertips since the beginning, but until the academy, only my web designer had ventured into this realm on my business’ behalf. #2: The PADI Pro website. I have used this site for close to 10 years and I honestly thought I understood all the tools available to me. Clearly not. The PBA went through every tab in the minutest detail and it was a shock to discover all the features that have been available to me all this time and had not been utilizing to full potential. #3: Social Media. I honestly thought that this element of the PBA would be something that I could learn little from…after all, I already blog, link everything to the website, twitter and Facebook….what more could there be? A lot as it turns out. The PBA taught me little quirks and tweaks that could even further my marketing success. Things like scheduled posting on Facebook and how to highlight an important post are all features that have been at my fingertips, but have failed to use. The academy taught me that staying current to new trends will be an essential mode for dive center survival. This information did not make me loose heart however – again Knowledge is power and power means control. Workshops allowed us to use free tools like Animoto and Mail Chimp to better serve our guests and encourage them to be more interactive over all social platforms. You too can harness the power! The following PADI Business Academy programs are schedules across Asia Pacific for 2015. PADI Dive Centres from NSW and Queensland attended the PADI Business Academy in Sydney last week and gained knowledge on proven tactics and techniques to help improve their businesses. PADI Asia Pacific’s Danny Dwyer, Senior Director – Sales & Marketing, commenced proceedings with a welcoming presentation and introduction to the 2-day program. The academy included topics such as social media, websites, blogs, email marketing, marketing to Chinese consumers, ScubaEarth, PADI eLearning and EVE. The personalised learning environment of academy and workshops encouraged PADI Members attending the Sydney PADI Business Academy to focus on their specific needs – providing them with the tools and strategies most valuable to their individual businesses. 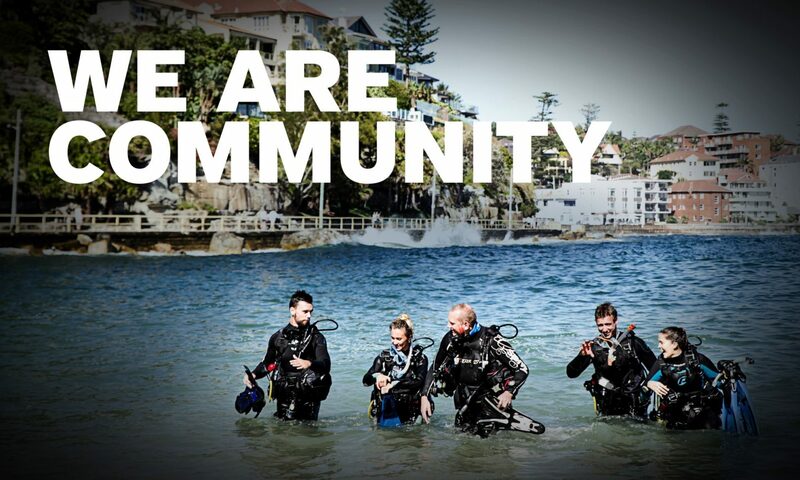 Jessica Jones, PADI Instructor from Let’s Go Adventures in Nelson Bay, NSW, said; “One of our goals is to increase our web presence to promote diving in Nelson Bay using the tools available and getting the best out of them. I’m coming away with many ways to improve the business via social media and this will flow on to other things”. The next PADI Business Academy is scheduled for 6th – 7th August in Melbourne, Australia. If you would like to know more about the PADI Business Academy please contact your PADI Regional Manager. Business Academy Melbourne – Book now! Book your spot at the PADI Business Academy in Melbourne, Australia which takes place on 6 -7 August 2014. Follow up results from PADI Members in Asia Pacific revealed that the group of 108 PADI Retailers and Resorts who completed the PADI Business Academy in 2013, enjoyed an average increase of 13.6% in diving certifications compared with 2012. This highlights the tangible benefits that PADI Business Academies provide for PADI Dive Centres and Resorts. PADI Retailers and Resorts around the world have the opportunity to power up at PADI Business Academies again in 2013. Through six hands-on workshops, the PADI Business Academy curriculum delivers proven tactics and techniques you can immediately implement in your business. During the two-day PADI Business Academy, you’ll receive targeted, contemporary business training custom-tailored to your specific needs that will help increase your bottom line. More than 450 PADI Retailers and Resorts attended the programs in 2012 that included information, tools and workshops on how to improve websites, Social Media Strategies, customer relationship management, Sales Training, Pricing Strategies and PADI eLearning® Strategies. Six two-day Business Academy programs are scheduled for 2013 and space is strictly limited. Below are the dates and locations for the PADI Business Academies in Asia Pacific. The full brochure and registration forms are available on the PADI Pros’ Site. For further assistance contact your PADI Regional Manager or PADI Customer Service Team. Please note that dates and venues are subject to change.